Finally, my last FanstRAvaganza post. So far I’ve talked about Richard’s voice work and shared some excerpts from it but have only hit a few points. Originally, I was going to do some really in-depth pieces about the effects of his voice (don’t worry I cover it later) and a piece about his narration of some documentaries and his voice overs in commercials, and maybe offer to make some ringtones. There is simply not enough time to cover it all in a few pieces, and don’t you think I’ve dragged this FanstRAvaganza thing out long enough? If you are interested in some of those other works, RichardArmitageCentral has an archive here. The rest of this post won’t really be about Richard’s works but more about some of you, and it’s only fitting my last post includes some very imaginative and funny bloggers. I’ve already talked about bccmee being funny, and if you’ve watched some of her videos, you know how imaginative they are. Yet she says she was never creative before making fanvideos of Richard Armitage?! Having a hard time believing her great imagination kicked in on viewing him, but maybe it did. I know it’s had a dramatic effect on mine. Sadly, due to technical difficulties, I could not get a recording of bccmee, but you can read more about her here and also be sure to read her FanstRAvaganza posts which start here. Another clever one is Skully, who has been slammed on time a bit lately (I can relate! ), so I couldn’t get a recording of her either. If you’ve never read SpooksFanBlog, I hope you will treat yourself! It’s never dull. Pi is another one who is never dull. Her view of the world and her humor are most closely related to SO‘s. Obviously, I can’t help loving her stuff. I’ve said a time or two how much I like her writing, and I’ll keep saying it until some more of you go over there and read it, and nope, I didn’t get a recording of her either! Yeah, that was maybe a wee bit entertaining. ;-) And for those who may not know it, Traxy had to pay homage to ABBA since she’s from ABBA land. Read more about her here. Onto some more of you fans who are a delight. No Radio 4 listener here LOL! Thanks, Sheepa. For the rest of you, see how easy that was? I hope you know that I’m teasing those of you who decided against publishing and certainly respect your right not to publish. But I also hope some of you relent so that I am not the only one who has the privilege of listening to your marvelous recordings. edit: The reason I call my letters fake fan letters is I hold little or no hope that Richard Armitage will ever be aware of them. If he is, great. If not, that’s fine too. All I know is I’m having a blast! and wouldn’t it be cool if he recorded the next message?!! Maybe someone who really has his ear can ask him. It was really brilliant of you, collecting recordings from so many fans :D Finally putting a voice to the many women around the world. LOVED THEM!!! Truly enjoyed the VOICE theme of your continuing FansRAv work. Doesn’t matter that you lost a few days in posting that week – OUR GAIN NOW! And thank you both for the kind words. People have been wonderful about submitting recordings, and I wasn’t kidding when I said I almost chickened out. Actually, I despise my voice, but I”m having such a blast I couldn’t resist. Truly. This is fun. Wish I could get paid to do something like this blog. Oh, man, that would be a dream. Thanks for a brilliant FanstRAvaganza, Frenz. It’s been a hoot and I’ve loved reading your posts and listening to all the clips of the fans. :) Nice to put voices to the names! I’m diggin’ the posh, Traxy! This is so much fun, Jonia! Wish I could do this stuff every day! I’ll re-listen to all your voices to remember them. What a pretty voices! Are all of you radio presenters? Ok, I’m training now for next year. I promise. Dear Sheepa, Congratulations! You are a star now. Well done. The audios have been wonderful. Hearing real voices behind the names fosters a sense of connection, don’t you think? Frenz, your entries have been brilliant. I really enjoyed them. 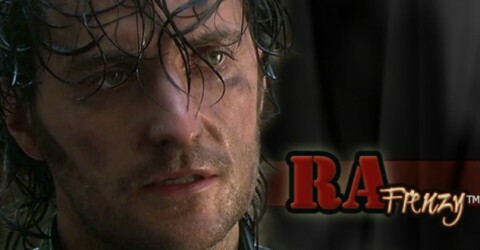 Wouldn’t be awesome if RA actually did record a message for the fans? From your lips to his ears. Frenz, uh oh. Trying to guess what it could possibly be now. You’re such a tease! Maybe I should tag the next post as FanstRAvagana appendix? Oh, hell no, we’ll someone slap me?! Well, there ya go, judi!! An appendix, bib and glossary! I vote for it. How i”ve loved hearing all of you tawk! Such fun. I feel like I know you personally now. Is that weird? I have also learned that compared to all of you gals, I sound like I just fell off a turnip wagon..such articulate ladies and smooth tawkers too. “From your lips to his ears.” GULP judi! What a picture that paints!!!!! (count ’em-5 exclamations =0). Ann Marie, you sound exactly like I thought you’d sound! LOL on the world peace!! Thanks for all your hard work Frenz! And keep it up?! BTW, it was just me and Richard (to borrow the term please Serv?!) on the last 3700 miles. Nice travel companion he is too I might add. He didn’t seem to mind all the potty stops, Coke fixes, phone calls interupting his Uhtred one teensy bit. Good guy this guy is!! Whoever wins LofN is going to LOVE it!! Thank you and congratulations for your great posts! Yes, I’m STILL reading back posts from fanstRAvaganza — I haven’t listened to all of this one yet, but I just wanted to say, Ann Marie, the end of your segment made me spit coffee again. World peace indeed! Great to hear your voice. I’ll probably check in again as I hear the rest of these. No worries, bloggers! Post FanstRAv week post mortems just mean “The Song Goes On”. Can I just apologise for the time it has taken me to listen to this blog post, for various reasons I couldn’t listen to it when it first went up, and then time passed and it slipped my mind. I just found it again, and would like to say how much I love all of these audio recordings that you have all made, because they are all wonderful! All the different accents – fabulous. And it was especially nice to hear Frenz, thanks for involving me in Fanstravaganza. Don’t apologize! Truly. I had a blast doing these posts, so if you get some enjoyment from it, it doesn’t matter when it happens. Glad you were part of it.